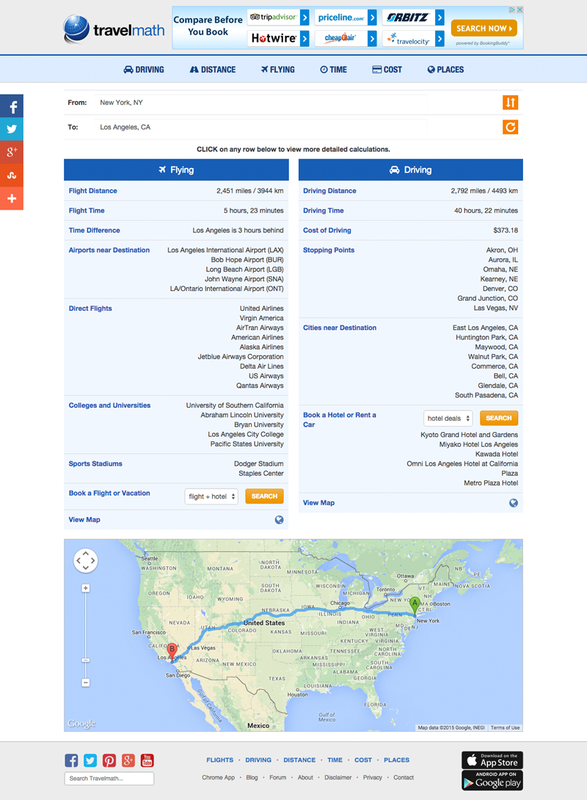 Blake Griffin - "There's a website called Travelmath. 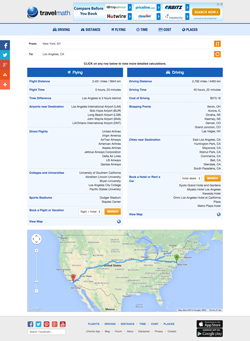 It's really good if you're into flight times"
Please use our Contact Form if you are a member of the press and need more information. Tweets about NCAA Basketball Teams. How clean are the handles on public trains? The germiest surfaces in hotel rooms. What's on the mind of today's air travelers? Find out how the top U.S. airports rank. What bothers Americans most in the air? The dirtiest places on airplanes! Who's the fastest superhero or sci-fi ship? Analyzing tweets about the TSA. 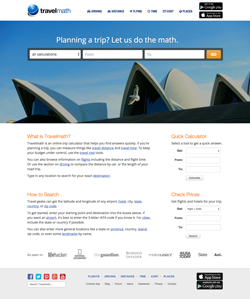 Download a larger Travelmath logo. 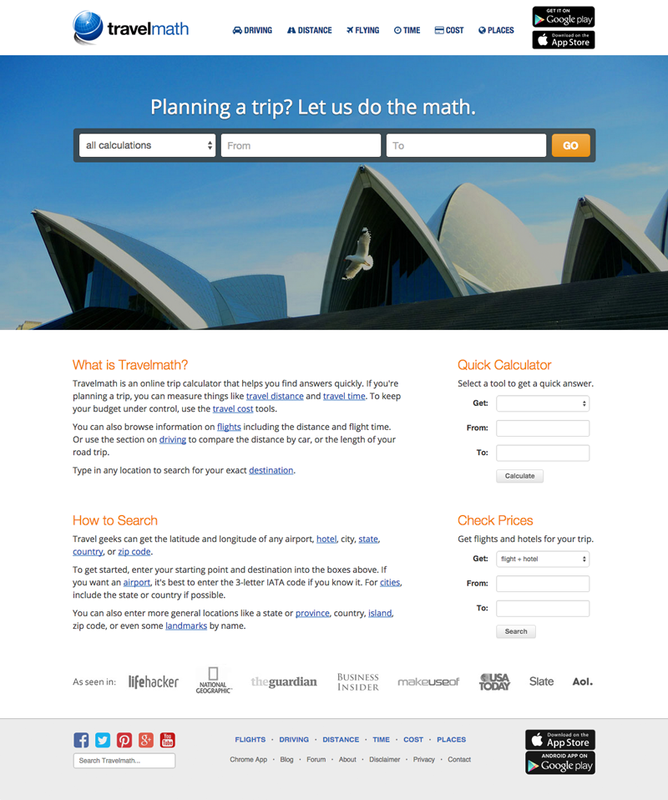 Download a smaller Travelmath logo.